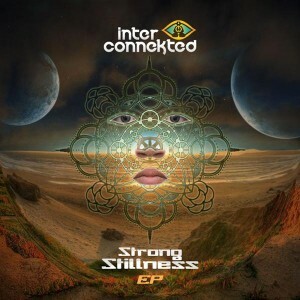 Interconnekted presents Strong Stillness, a collection of deep trance and downtempo journeys into hypnotic states of mind. Alternating between broken beats and steady grooves, this Maltese artist weaves a magic spell, taking the listener into richly textured and expressive downtempo and ambient soundscapes filled with strong bass and melody. Mastering by Juliano Calvo Orquin AKA Multiman. MP3 Download | FLAC Download | WAV Download · Download count: 16,156.
if you could feel my country to your sphere! hey guys thanks for the comments! Just to let you know that once you donate you will become part of Interconnekted Fan Scheme were half the money you donate goes to NGO’s building permaculture projects around the world, the other half goes to Interconnekted Studio. Once you donate you will also receive all my music for free 1 month before it is released! Enjoy the music and donate to become part of this project ;) Love and Light! Lovely music. Nice Wilcock sample on Spirit Molecule….and the ending of that track is super nice, btw. Yes Soma that’s one of my favourite tracks for sure especially the end part, love the synth work there ;) Big Hug! Absolutely in love with Wonder Awakening! Thank You ! what is the lyrics in Spirit Molecule? Thank you so much for this wonderful Ψsychedelic experience!! !